In early 2001, much of El Salvador was devastated by massive landslides. Thousands of already poor farming families in the highlands were left homeless and destitute. 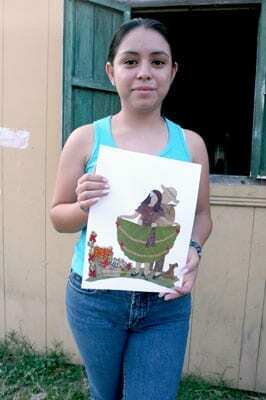 Ana Rosa Graf, an architect from San Salvador, joined the rebuilding efforts. But she soon realized that without sustainable livelihoods, people would still struggle to feed their families. 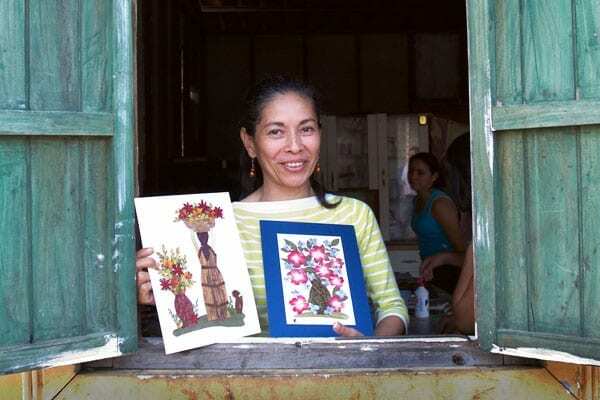 So she came up with an idea for a handicraft business that would employ local women. She designed a series of unique, high-quality collages that could be made at home from abundant local materials such as flowers and leaves. 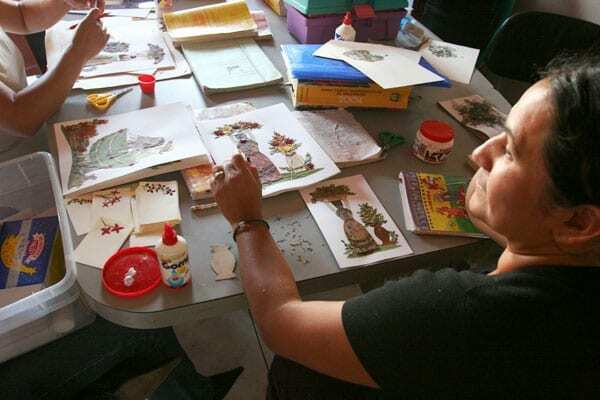 She recruited several other women, and together they began teaching their craft to others in the community and selling the collages on a small scale in the domestic market. But Graf knew that to make a significant difference, her business would need to expand and tap into the more lucrative export market. 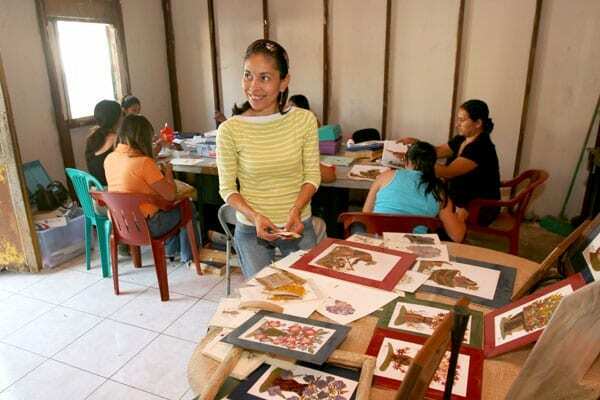 To help her reach this goal, in 2005 she entered TechnoServe/El Salvador's national business plan competition (BPC). Over the course of six months, she attended intensive classes and participated in hands-on practical training sessions, learning how to run a small enterprise and market and export her handicrafts. A successful local businessman also mentored her and guided her in creating a viable business plan. "I realized that my project was worthwhile and that it was viable," says Graf. "Creating the business plan, whether I won the competition or not, helped me to define my project's vision." Her hard work paid off: she was named one of the BPC winners and awarded $6,000 in seed capital. 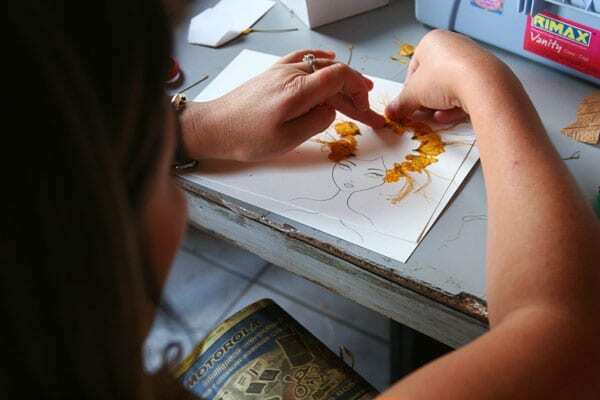 She used her newly acquired knowledge and capital to officially launch Arte Comasagua, as well as to buy tools and supplies and to hire professional trainers. Within a year, Graf has begun exporting to regional, European and U.S. markets. Her staff is also growing and she hopes to bring on more people, including managers. As a result of her success, Graf has hired people such as Roxana Perez. Previously unable to find work, Perez now earns more than the minimum wage, while working at home and taking care of her two children. She can afford new clothes and books for them, and her family can invest in the future. "One day soon," she says proudly, "my husband and I hope to be able to afford our own home." With additional help from Aid to Artisans (ATA) designers, Graf’s company has attracted attention at a New York International Gift Fair.